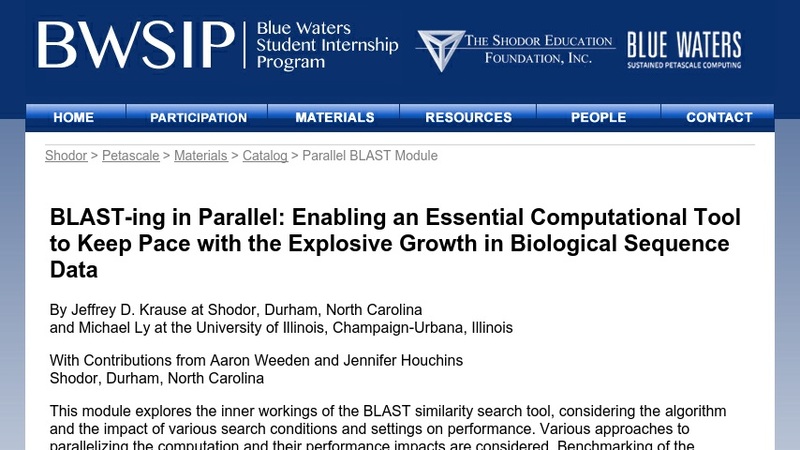 This module explores the inner workings of the BLAST similarity search tool, considering the algorithm and the impact of various search conditions and settings on performance. Various approaches to parallelizing the computation and their performance impacts are considered. Benchmarking of the mpiBLAST parallel code is carried out at different scales.